Centuries ago, Guru Nanak Ji propagated humanity and the need to spread love, wisdom and peace. He is widely acknowledged for his five major tours which stretched far and wide covering more than 28,000 kms on foot. Guru Nanak Ji is the most travelled person after Ibn Battuta from Morocco. Guru Nanak Jayanti or Guru Nanak Gurpurab is celebrated all over the world with great vigour and enthusiasm. This day is considered to be very religious and auspicious by people of all faiths. A 48-hour long Akhand Paath - reading entire Guru Granth Sahib takes place before Gurpurab. A day before the event, early morning processions called ‘prabhat pheri’ take place. Nishan Sahib, a holy triangular flag bearing the symbol of Khalsa Panth is waved during these processions. You will also see Nishan Sahib hoisted on domes of Gurudwaras. The Golden Temple or Sri Harmandir Sahib or Sri Darbar Sahib is famous all over the world for its striking appearance in gold. 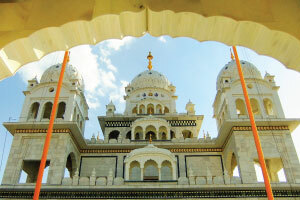 Visited all year round, the Gurudwara is a peaceful place for all worshipers. Golden Temple’s stunning architecture and grandeur certainly puts it on every traveller’s bucket-list. In 1664, the eighth Guru, Guru Har Krishan Ji stayed in a bungalow (bangla) when he was in Delhi. He cured diseases with sacred water but eventually contracted the disease and died there. This bungalow was later refurbished into a Gurudwara in the memory of Guru Har Krishan Ji. The Gurudwara adorns a beautiful golden dome and houses a higher secondary school, Baba Baghel Singh Museum, a library and a hospital as well. Also known as Pushkar Raj, this Gurudwara was built to commemorate the visit of Guru Nanak Ji and Guru Gobind Singh Ji in Pushkar. This temple town is surrounded by a natural lake and has scenic views. An old handwritten copy of the Guru Granth Sahib is still maintained. Hemkund Sahib is surrounded by glacial lakes and is dotted by Himalayas in the background. Due to its location, it is inaccessible from October to April, but is the most scenic place to visit during August-September. Valley of Flowers, a valley with layers of flowers that blossoms from June to September is just 3 kms from it. 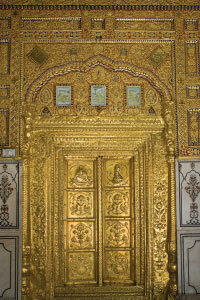 Gurudwara Data Bandi Chhor Sahib, spread over 6 acres is constructed of marble stones and bears doors of gold. The sixth Guru, Guru Hargobind Singh Ji was imprisoned in the Gwalior Fort along with 52 Rajput rulers. ‘Bandi Chhor’ refers to the release of the Guru and the rulers. Hence, the name Bandi meaning 'imprisoned' and Chhor meaning 'release' came into existence. Bandi Chhor Divas is celebrated by the Sikh community to commemorate their release. Also known as Takhat Sachkhand Sri Hazur Abchalnagar Sahib, is one the the five takhts (thrones). Located on the banks of Godavari river, it was the place where Guru Gobind Singh Ji breathed his last.The Gurudwara is embellished with golden doors and walls. Guru Gobind Ji’s sacred relics like a golden dagger, a matchlock gun, an archer with 35 arrows, a steel shield with precious stones and five golden swords are also preserved here. 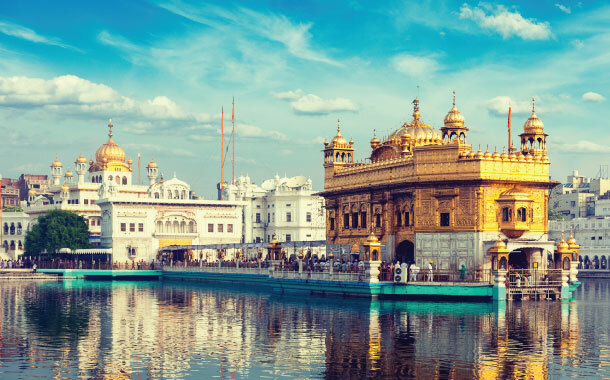 Although Gurudwaras mentioned above are extremely beautiful and famous, the other lesser-known Gurudwaras are significant as they are connected to Guru Nanak Ji's odyssey. Sri Guru Tegh Bahadur Sahib Gurudwarain Assam was erected to mark the Guru’s visit in the year 1505. Gurudwara Ber Sahib located in Punjab was constructed near a Ber tree (Indian plum) planted here by this great Guru. Gurudwara Manikaran Sahib was the site of meditation of Guru Nanak Ji during his visit in Manali.